Adjacent to Sydney’s only casino, replete with style and the home of the same city’s biggest spa, The Darling Hotel at Darling Harbour just may be the perfect home away from home in one of the world’s most exciting hot spots. Part of the Star Casino but designed as a stand-alone hotel with its own arrival experience, amenities and alluring personality, The Darling has 171 rooms but each are most definitely ‘distinctly darling’ and well worth a rave all their own. From the 400 thread Egyptian cotton sheets and hand picked pillow menu, to the textured wallpapers and bespoke furniture, every tiny detail has been well attended to, and it comes as no surprise that The Darling was named one of the Top 60 Best New Hotels in the World by Condé Nast Traveller not long after opening its doors. Located on the edge of Sydney Harbour, The Darling is two-part in its design. Having a distinctive inverted glass tower resting on a sandstone podium it features the aforementioned 171 stylish and spacious rooms, suites and penthouses, an infinity pool and 16 room luxury spa and was the only 5 star property to have been opened in Sydney since the 2000 Olympics. It looks and feels spacious and well appointed, but still most definitely an urban residence in a truly electric and multicultural city. My home for my stay was one of the famous - and exquisitely spacious - Jewel Suites that offer a king-size bedroom and separate living area. They come complete with wet bar – which makes them perfect for entertaining - and are the perfect choice for lovers of luxury expertly mixed with the functional. The beautifully tiled bath and separate walk in wardrobe were the ‘jewel’ - quite literally - in the crown, with the incredibly efficient room service being an absolute bonus once again. But onto the spa! The Spa at The Darling is definitely one to add to the ‘to do’ list whether you are travelling for business or pleasure, taking over the whole second floor of the hotel with its maze of treatment rooms. 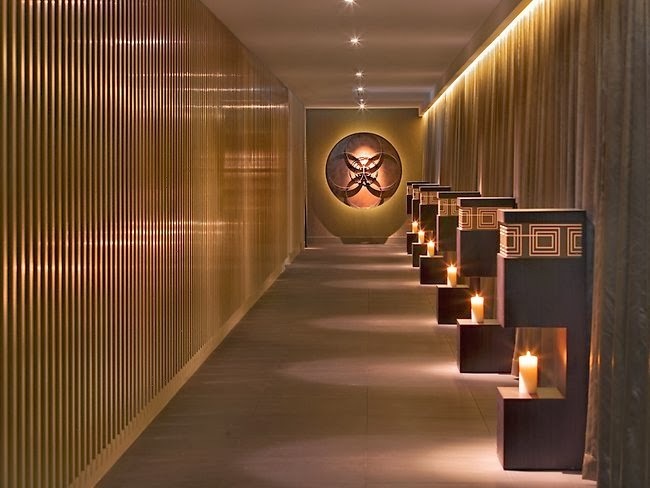 As well as being the biggest it is one of Sydney’s most luxurious and truly international spas, and a space that one could easily get lost in - both emotionally and physically. 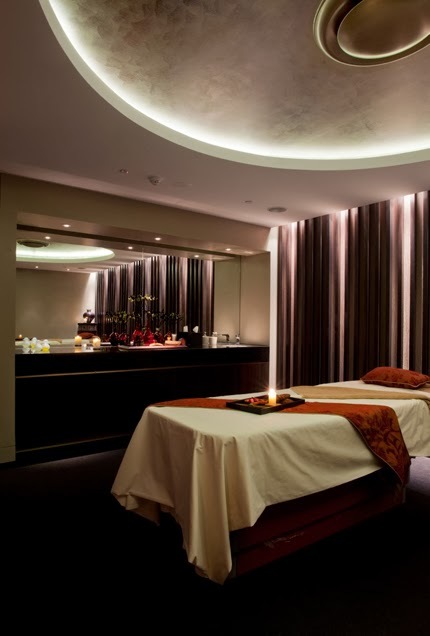 From the moment I entered the spa and met my talented therapist Cheryl, I began to experience the warmth and luxury of the urban resort spa through a total sensory experience. With 16 private rooms including a beautiful and intimate couple’s treatment room and a room with an indulgent hamam (my absolute favourite element), the spacious spa is devoted to making guests look incredible and feel even better.